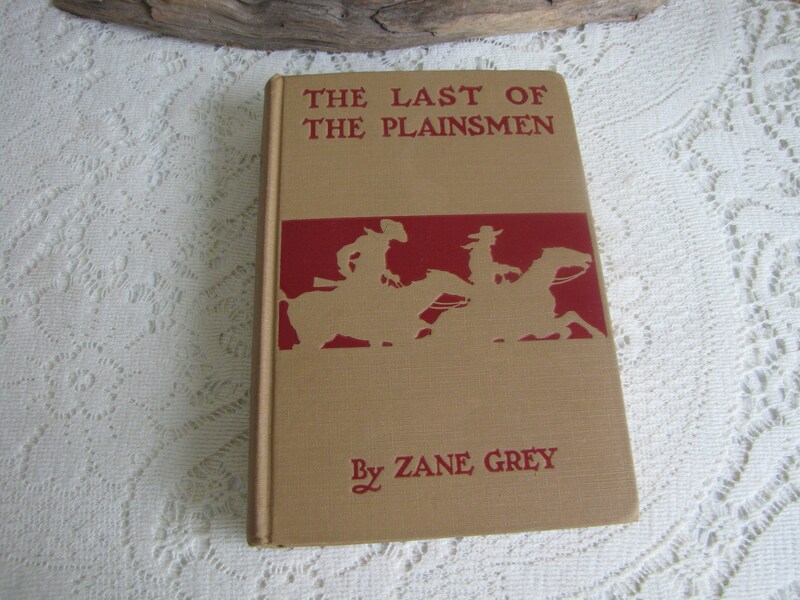 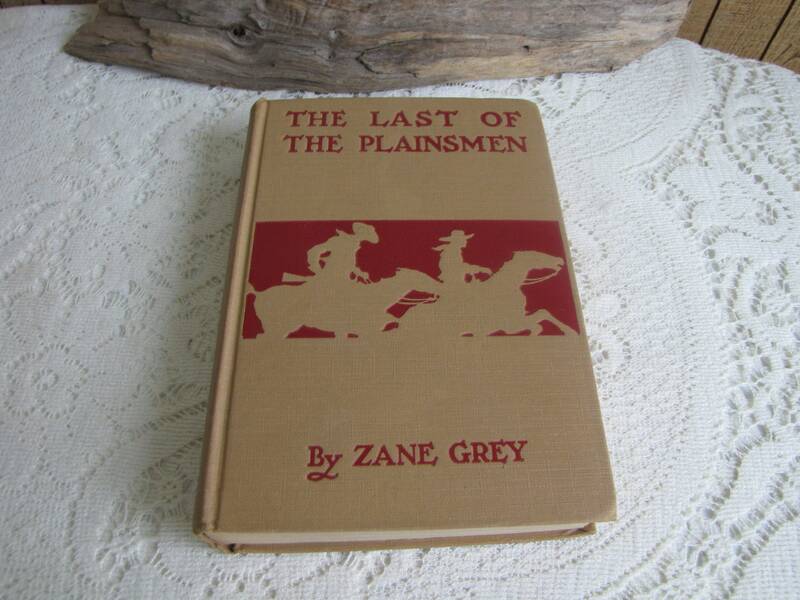 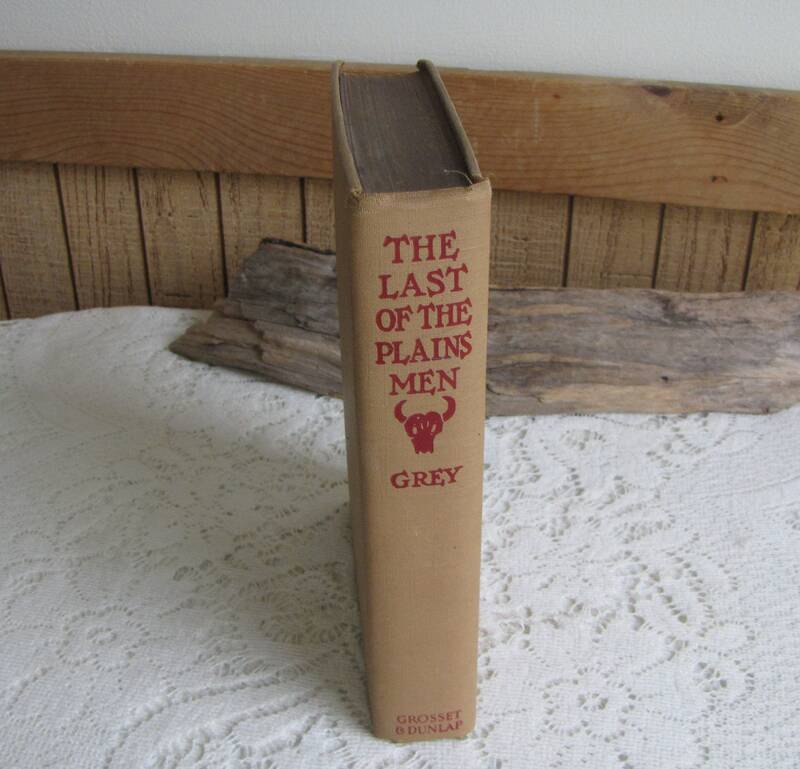 This is a second edition of The Last of the Plainsmen by Zane Grey. 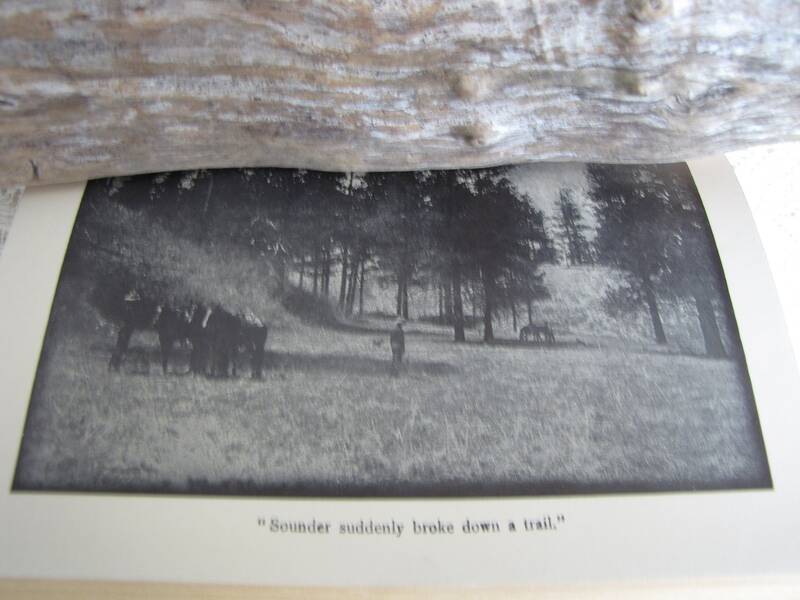 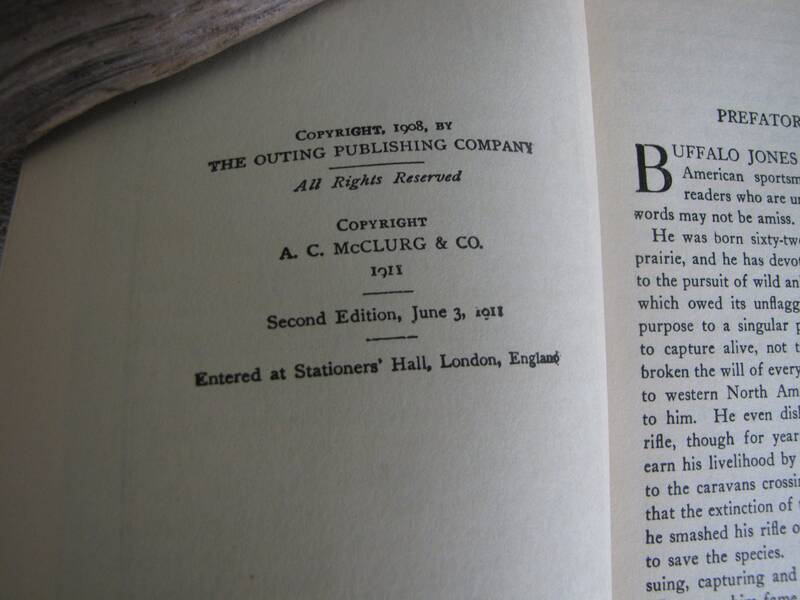 The book is in very good antique condition (1907) with hardly any issues. 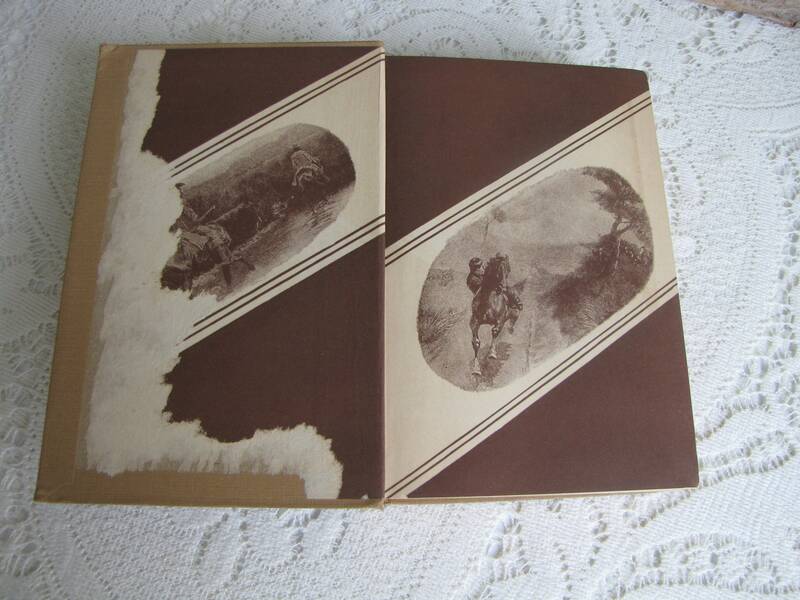 The front board on the inside the paper is partially ripped off otherwise there is as small discoloration on the back board that is hard to see. 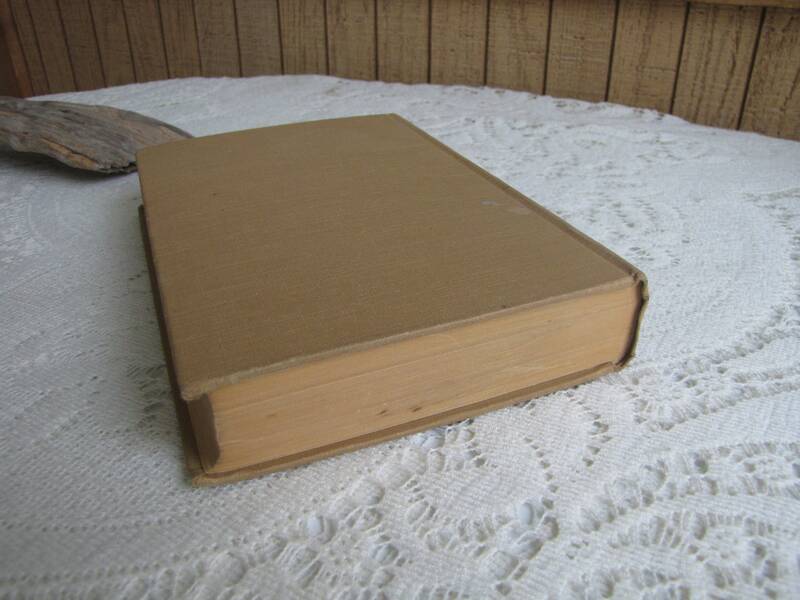 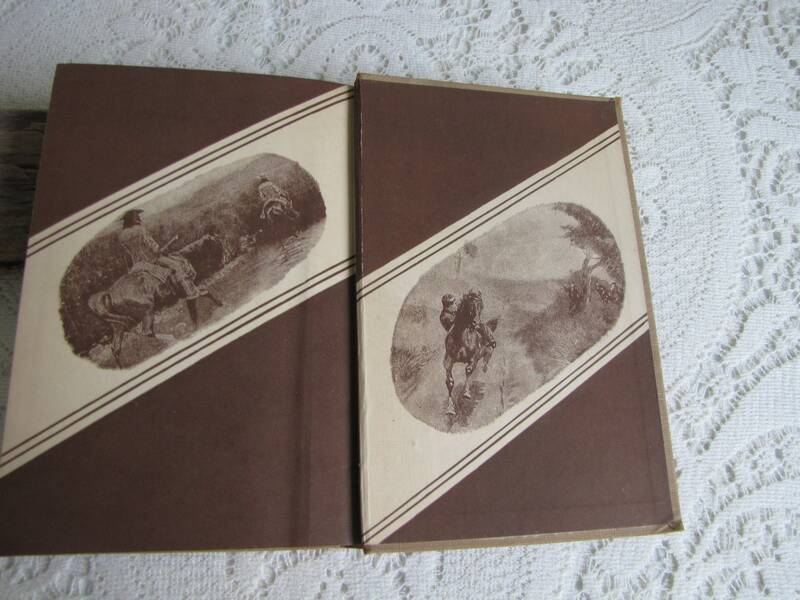 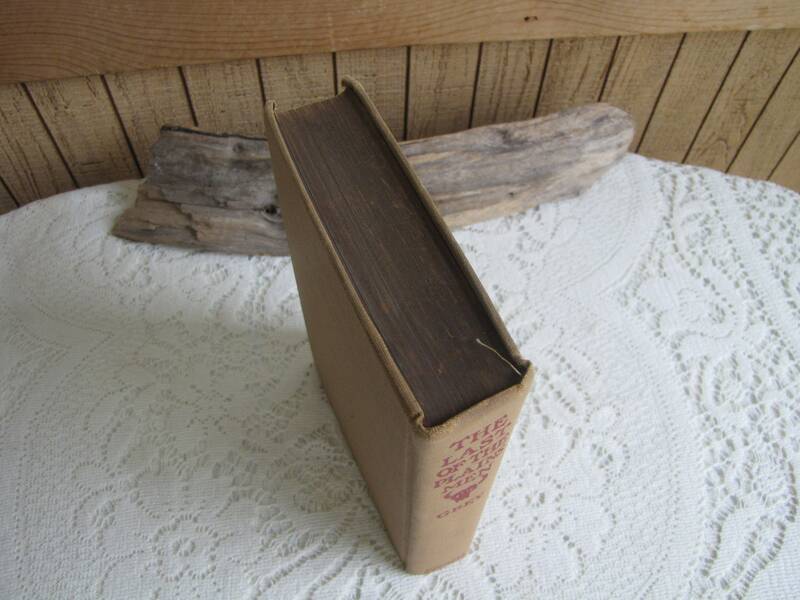 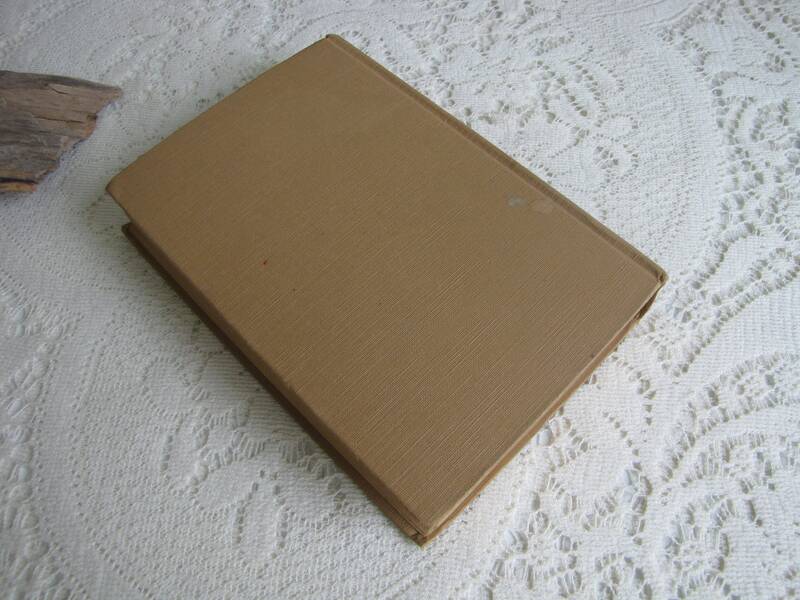 The binding is good and holding the pages which are a little yellowed.